I’ve been trying to take full advantage of the Mancunian sunshine this week by literally attempting to live outdoors at any opportunity. 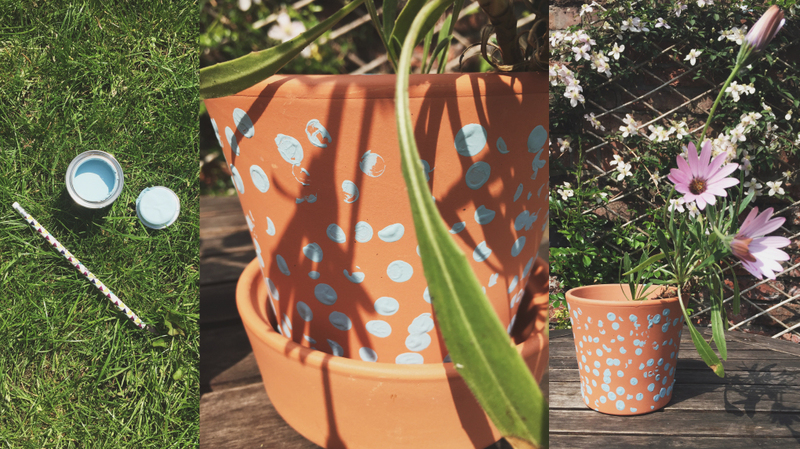 Here’s one.. an easy plant pot decorating project that Orla my 4 year old daughter loved, it’s not a super stylish scandi chic minimalist look but she could be as meticulous or as free as she wanted with it. 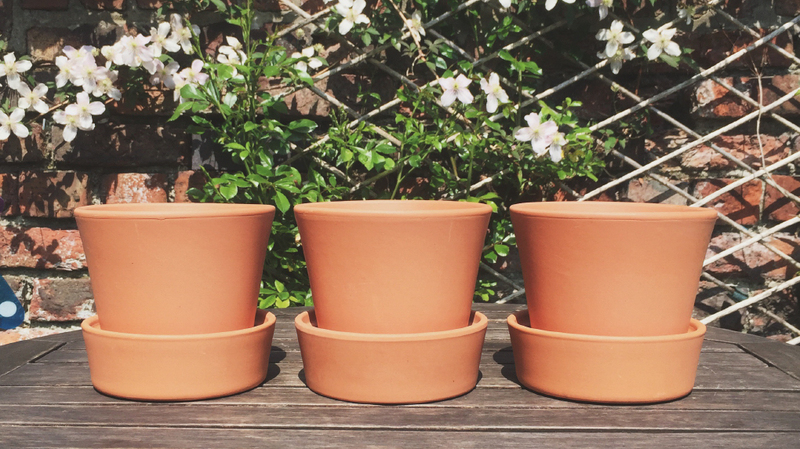 We used a few IKEA terracotta plant pots we had and materials that can usually be found at home or in the shed. 1. 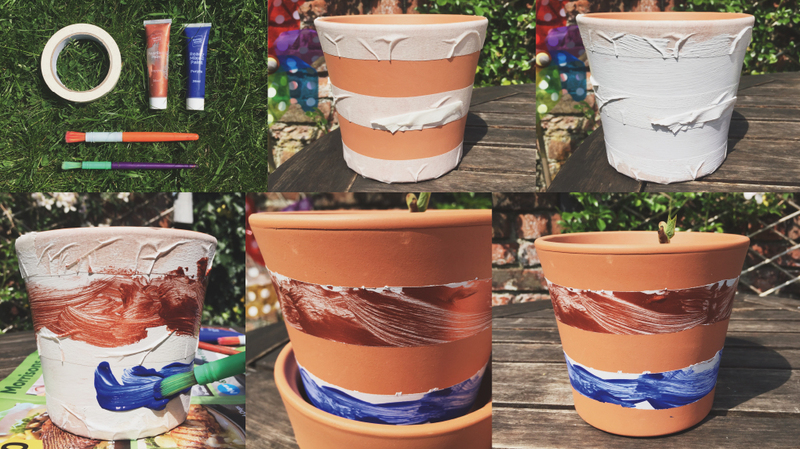 With the masking tape, tape the pot wherever you don’t want paint to be applied on the outside of the pot. 2. Paint! 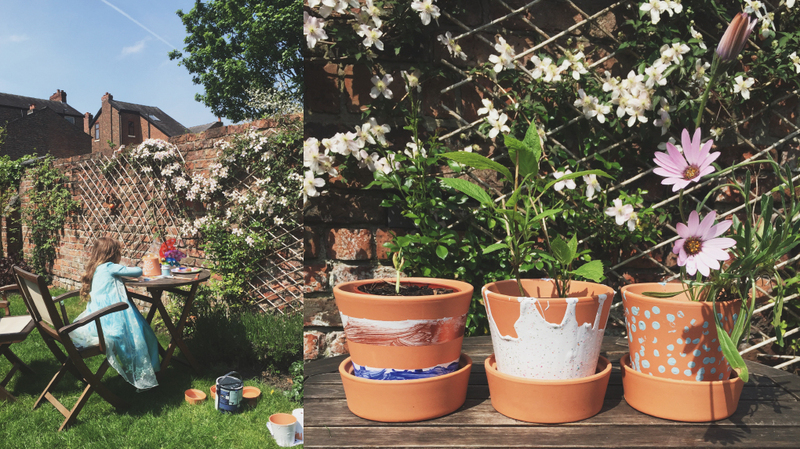 We painted the pot with some emulsion we had left over in the shed. When that dried Orla painted a layer of blue and copper colour paints.. very sophisticated! 3. When the paint has dried peel off the masking tape. 1. 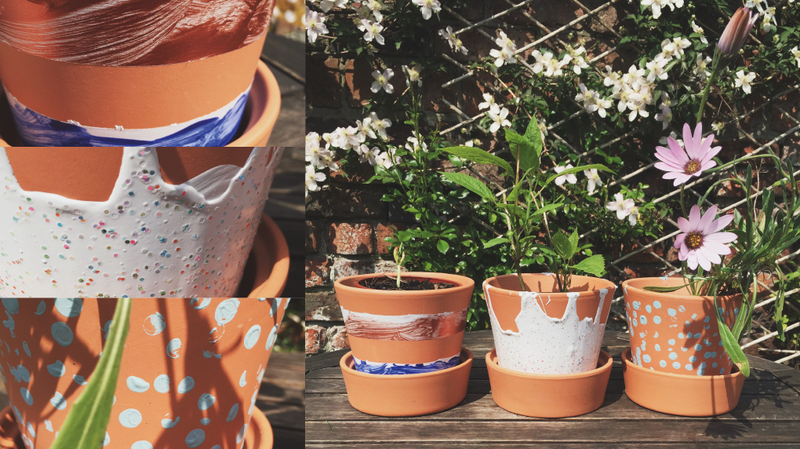 Turn your pot upside down and slather the paint on so it runs down the pot creating a lovely drippy effect. 2. While the paint is still wet sprinkle glitter into it. You could also drip other colour paints on if you have some. 3. Leave in that position until it has dried and then turn the right way round. 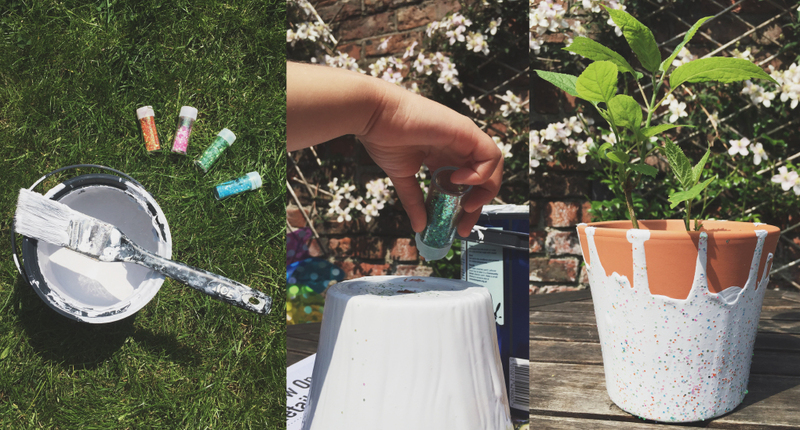 Dip the end of the pencil in the paint and use as a stamp to create a dotty pot! Use as many colours as you like. *Dressing up as Elsa from Frozen is optional.